A market analyst is predicting that Rockstar will announce the next installment in the GTA series at the next E3. Jesse Divnich, a market analyst for EEDAR, is predicting that Rockstar will tease the next Grand Theft Auto game at the 2010 E3. "I think there won't be any playable stuff. I think they'll give you some type of teaser, because we do think that a year from then in 2011 we're going to see another Grand Theft Auto," he said. When asked about exclusivity deals, Divnich was skeptical, saying that Grand Theft Auto, while still a big brand, wasn't the unit shifting behemoth that it once was. "Back in 2004, the Grand Theft Auto was a huge brand, but only relative to the other brands that existed at the time. While the GTA brand is certainly bigger now than it was five years ago, others have emerged to reach similar levels of success, such as Call of Duty or Guitar Hero." "I don't foresee Microsoft or Sony attempting to obtain any type of exclusivity with the next Grand Theft Auto. Microsoft paid a lot of money for exclusivity on the downloadable content for GTA IV, which unfortunately did little to move consoles for Microsoft." 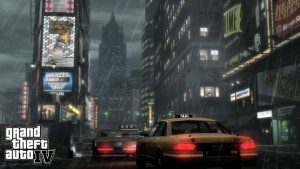 If Rockstar follows its own pattern, GTA V will be set in Vice City, but given how gorgeous Liberty City was in GTA IV, I'm kind of hoping that it jumps the gun and heads straight for San Andreas, because I want to see what Rockstar does with Las Venturas.